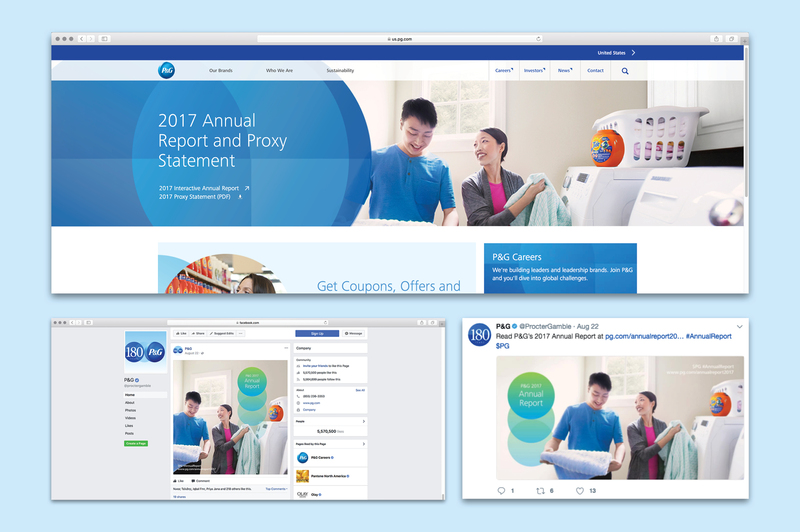 P&G’s newest business strategy is to raise the bar on winning by establishing an even higher standard of excellence. They asked us to do the same for their 2017 Annual Report. To communicate “Raising the Bar,” we created a “rising” graphic element and elevated five measures within the report that accelerate top-line business growth. 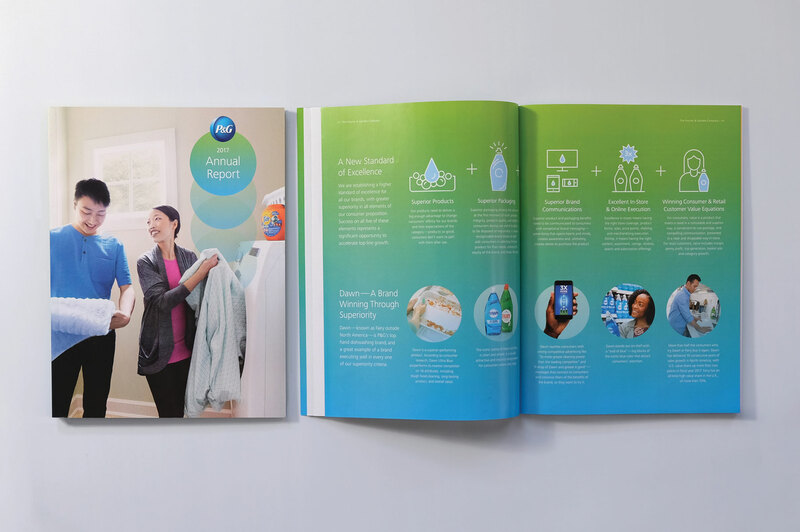 Consumers are front and center in everything that P&G does, and that commitment was featured on this year’s cover. We paired down-to-earth photography, colorful gradients, the “raise the bar” graphic and simple infographics to create an overall impression of growth and consumer satisfaction. We advocate any solution that brings our clients closer to their audience. 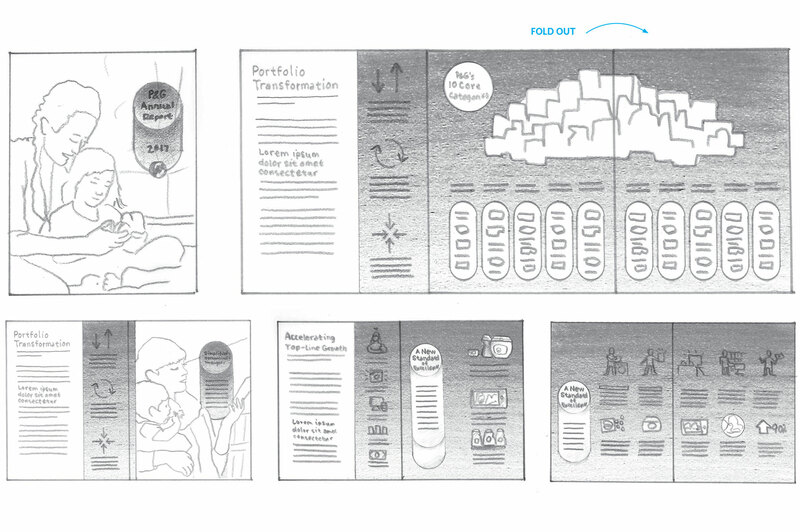 P&G wanted investors to have easy access to annual report information at any time. 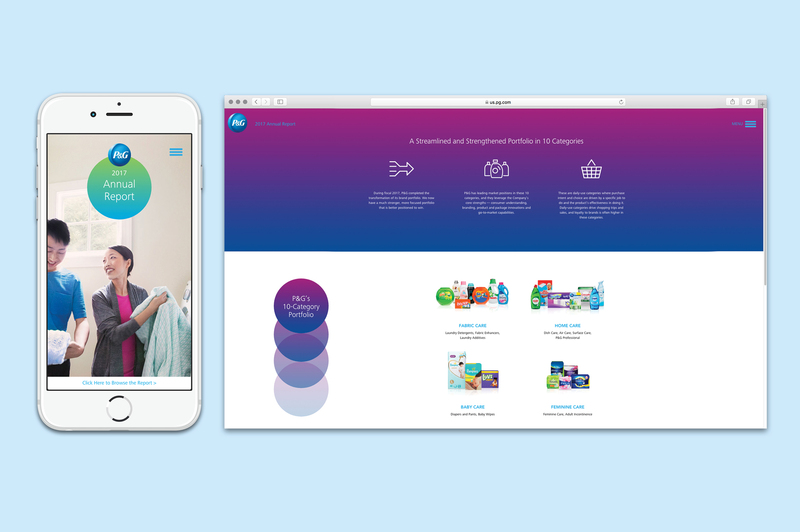 We partnered with the website specialists at Primax Studios to develop a mobile-first microsite.